Fedegari Autoclavi SpA, located in Albuzzano, PV (Italy) is the holding company of the Italian industrial group that manufactures machines, systems, components and provides services in the field of sterilization, chemical bio-decontamination and contamination control for the bio-pharmaceutical and food industry worldwide. Fedegari was created by brothers Giampiero and Fortunato Fedegari in the early 1950s in Pavia as a small handicraft company dedicated to the manufacture of various structural items. Later it developed in the production of sterilizers, gradually specializing in the design of these machines for application in the pharmaceutical field. Over the years, Fedegari has diversified its production, creating products upstream and downstream sterilization and bio-decontamination units, isolators, washers and automated systems for environmental contamination control. A unique characteristic of Fedegari is the extreme verticalization of the company, which has always refused the idea of assembling sophisticated sterilizers and other machines with standard components (COTS) designed for multiple applications, building everything in-house. This has allowed, after many years of field experience, to control technology through in-depth knowledge of the machines and processes and the constant innovation of our products. Today Fedegari is able to provide turnkey solutions, assisting the customer from the design phase and accompanying it up to the validation of the process itself. Another interesting development is Thema4 process controller installed on all sterilizers, bio-decontamination units and any other Fedegari machines (isolators, washers, washer-sterilizers, etc.) Thema4 is the only process controller developed from the beginning to satisfy the most stringent requirements of the pharmaceutical industry. It is able to natively integrates with the SCADA and MES systems in use by customers. Sterilizers, bio-decontamination units and other Fedegari machines are distributed throughout the world by a network of local integrators able to ensure the operation and after-sales support during the entire life cycle of the machine. Established in the 1970s in Lugano as Fedegari Autoklaven AG to assemble field sterilizers for the Armed Forces of the German Federal Republic, it maintained its calling of standard machine products. 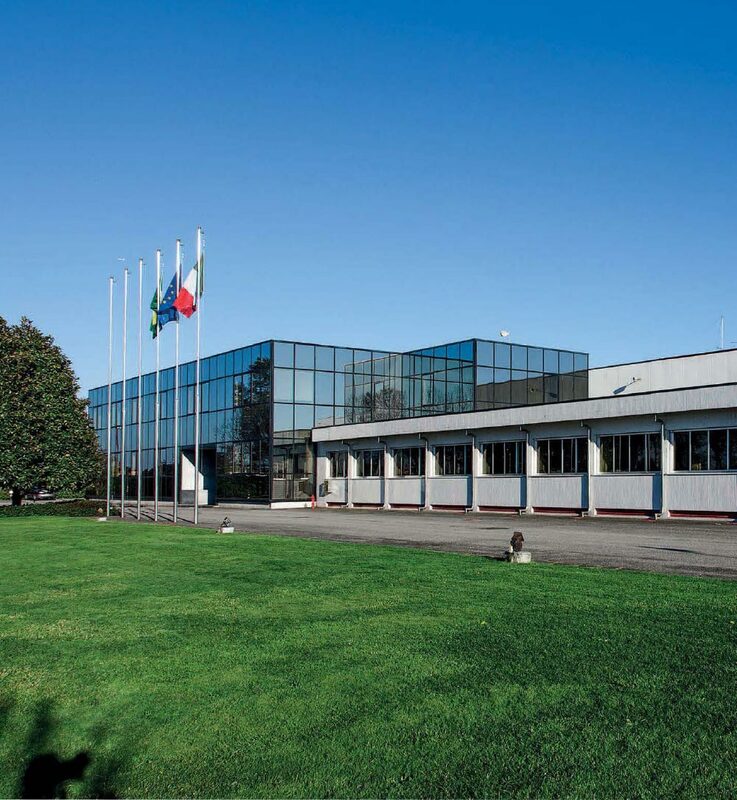 In 2001 the company opened a new production unit in Bedano – the current offices – on a built-up area of 3500m2 and transferred there all activities related to standard machines (laboratory sterilizers and glassware washing units). The critical components of the lab sterilizers and washers are manufactured in Italy. In this way, standard machines also benefit from the experience acquired with complex applications, offering a performance that is unthinkable for companies operating only in a single market segment. Besides the lab sterilizers with horizontal or vertical chambers and glassware washing units, Fedegari (SUISSE) SA offers services of technical consultancy, installation, validation, maintenance and training on sterilization and washing processes. In view of the specific nature of the sterilization market, Fedegari (SUISSE) SA employs a dedicated international commercial network that includes representatives and dealers with their own after-sales support centers. Fedegari has been operating in the US market since the early 1980s. Due to the uniqueness of this market and the high strategic value of local references, in 2007 Fedegari opened in Dublin (PA) a local branch capable of interacting directly with Customers in order to better understand specific requirements of the sterilization and decontamination markets and offer all after sales services without middlemen. In 2015, Fedegari has completed the construction of a new state-of-the-art facility in Sellersville (PA) with an innovative Technology Center to interact with customers from the processes experimentation to professional training on cleaning and sterile processes. . The Singapore branch was established in 2008 in order to provide a reference for Customers and representatives operating on the Asian markets. These emerging markets currently have the highest rate of growth and therefore require dedicated support. The local office provides commercial support as well as direct and indirect after-sales service where our representatives are already operating. By doing so, Fedegari is capable of interacting directly with customers whenever the specific nature of a project requires particular skills. In 2017, Fedegari Asia opened a new branch in Shanghai, China. The German branch based in Munich was opened in 2010. With this office, Fedegari seeks to provide closer support to German-speaking customers. In addition, Fedegari GmbH provides after-sales support services with qualified local technical staff. Considering the geographical proximity to the mother company, experimentation on products and processes is conducted in Italy with the support of German personnel. In 2019, Fedegari GmbH moved to Frankfurt. Established in 1999 with the involvement of two expert collaborators, Qualitech provides all after-sales services from installation to validation of Fedegari products where specific skills are not available locally. The growing complexity of machines and processes requires specific in-depth skill experience. All of Qualitech’s technical personnel is trained constantly at Fedegari and can rely on decades of experience acquired in the field by providing services in every corner of the world. The offer of services ranges from the installation and startup of machines to qualification, validation, support, process optimization up to on-site training and design consulting. All this is done with a practical approach and with a level of competence that other service companies will never be able to offer. New Inox was established in 2003 with the participation of Fedegari collaborators with years of experience on their shoulders. Small and flexible, New Inox provides several structural items designed for Fedegari products and services for mechanical maintenance and installation on installed machines. The New Inox team is composed of specialized workers and technicians trained at Fedegari. This training is indeed what allows to offer services of an extremely high level for activities that are often considered of little value. Especially on large machines, or in the case of revamping projects, these skills ensure the safe and reliable operation of every machine.